The Appeal to Heaven project was created as the initial “awareness” phase of America’s much needed civil rights movement. We live in a time in American history where the God-given, civil and constitutional rights of the American people have been denied them by a government has defied, and now ignores, virtually every constitutional limit fashioned by the framers to confine its reach and thus to guard the freedoms of the people” and that “Federal action has exceeded the clear bounds of… the Constitution, and thus violated the rights guaranteed to the people” Our Founding Fathers understood that an “Appeal to Heaven” was the last resort for any oppressed people when all other form of redress of grievances has been exhausted. Click here for more information on this project. The Christian church is on the verge of the greatest outpouring of God’s Spirit that the world has ever seen…For we are the generation that will witness the manifestation of His glory. Yet at present, much of the church is doing very little to prepare for it. There is a popular teaching that Jesus Christ could return for His bride (the church) at any moment. Scripture however teaches that there are several things that must first take place. John declares that Christ will remain in heaven until the bride has made herself ready (Rev 19:7). Peter taught that Christ would remain in heaven until restoration of all things (Acts 3:21). While much of the church is standing around looking up into heaven awaiting Christ’s return, there is still much work that needs to be accomplished. Christ will not return from His place in heaven until biblical unity has been restored to the body of Christ. 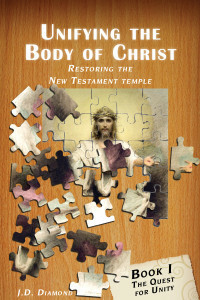 The Christian Unity Movement and the book series: Unifying the Body of Christ – Restoring the New Testament Temple prepares the way before our coming King.” Click here for more information on this project. “The American Christian Leadership Alliance (ACLA) is an alliance of patriotic Churches, organizations and individual Americans who are dedicated to the Constitutional, spiritual, social and moral restoration of the American Republic.” America is presently faced with a crisis unlike any other since April, 19, 1775. Unless the American people address the present crisis and reverse the downward spiral of this great nation, we fear that like many nations before us, America will ultimately commit suicide and end up on the ash heap of history.